There is an article (Diversity Takes Time SCIENCE vol. 332 no. 6033 May 27, 2011 page 1011 reviewing Ecol.lett. 14, 101111/j.1461.2011.01624x*2011) that reviews ecological hotspots. That is places where the number of species in an area is greatest, in this case Amazonian tree frogs. There is also a really cute picture of a frog. It turns out that those environments that are rich in species are also those that have been occupied by tree frogs the longest. In other words species increase over time, rapidly at first and then slower but always the species wealth is greater in areas longer occupied. I think we sort of expected that. Northern forests, which are rather young have fewer species and in fact do not form a solid canopy. Tropical forests, far older, have many species and do make canopies. The reason is obvious once one realizes that nature is only able to accommodate random mating populations of limited size. To drive the point home, they found that there was no environmental factor, such as temperature, that seemed to influence the trend. Needless to say the observation was published but no mention of the underlying cause. 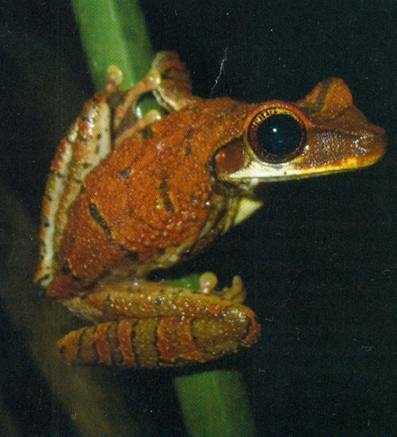 A corollary ought to be that the actual total tree frog density in these hot spots ought to be greater than in places where there are few species. They did not mention that, even though they might have, so I am left wondering whether it is true. There have been 16,647 visitors so far.